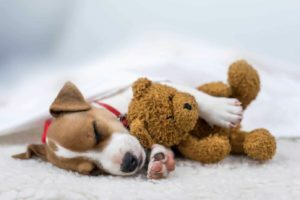 When it comes to taking care of your dog, one of the biggest choices you have to make is whether to get your pet professionally groomed or whether to invest in the equipment and products needed to carry out the same practices in the comfort of your own home. 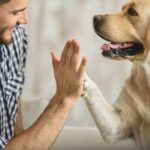 Any dog owner who has tried this routine, however, will know it can often be a lot trickier than it seems, here we will explore exactly why, so you can make the right call when it comes to your pet. When it comes to pet grooming products there is just so much choice, new dog owners can often get bogged down on where to start. What shampoo is right for my dog? Do I need a conditioner as well? What type of nail trimmer is going to do the best job? These are just some of the questions that will most probably cross your mind during the search process. But finding the right products isn’t the final hurdle for grooming your dog at home. Much of what you pay a professional groomer for is the experience and expertise they offer. Although techniques and best practices can be learned, several aspects of dog grooming such as clipping your pet’s nails or de-shedding their fur require skills that take a lot of practice and can be hard to master. Sometimes the convenience of having a professional do this for you is well worth the peace of mind knowing you can trust someone to get the job done effectively. 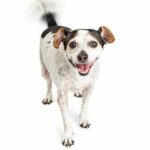 If you do manage to successfully navigate these to hurdles then one of the biggest benefits attached to grooming your pet at home is the comfort that comes with it. Grooming your pet at home reduces any anxiety your dog might have about going to the groomer or to new places in general. Long-term savings is also another benefit of home grooming. 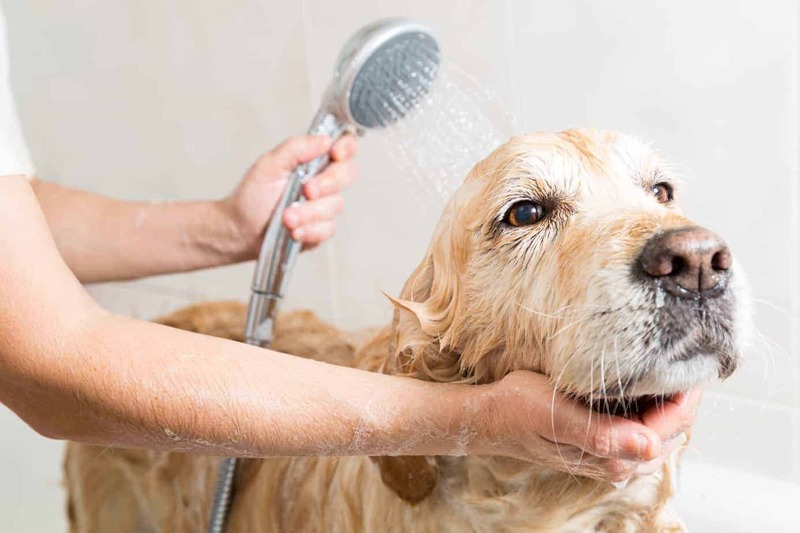 Although the upfront costs of purchasing the necessary products and equipment will be slightly higher than taking your pet to the groomers as a one-off fee, once your home grooming kit is complete you, can enjoy the fact you will not have to pay out every time your dog needs grooming. 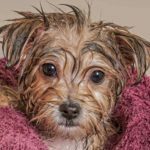 Having looked at the pros and cons associated with home grooming, it is now time to do same in regards to taking your dog to be professionally groomed. 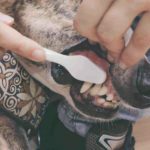 Starting with the main benefit, when taking your pet to the groomers, you can be sure that the level of service you’re getting is far beyond what you can achieve at home. This can be particularly reassuring for tasks such as clipping nails, which can often be a challenging task, especially if your dog resists sitting still which can often lead to owners trimming too close, or even cutting the quick. There are a number of grooming jobs like this that quite frankly, sound and look easy when carried out by a professional but can often be difficult for someone who isn’t quite as skilled. This list is by no means exhaustive, but still covers a wide range of treatments. No matter what type of treatment you want for your dog, a professional groomer can likely provide that service. Hopefully by now you have a much better understanding of the many pros and cons associated with both home and professional pet grooming. By breaking it down in this way, we hope you will be able to weigh up both the positives and drawbacks in order to make the right choice depending on your budget and circumstances. Jenny Nolan enjoys taking care of her excitable King Charles Spaniel as well as long walks and relaxed weekends, and is even happier when combining all three! As a professional pet groomer, she helps contribute to her family run blog CleanerPaws.